Ravello is a town and comune situated above the Amalfi Coast in the province of Salerno, Campania, southern Italy, with approximately 2,500 inhabitants. Get a sense of the local culture at Duomo di Ravello and Villa Cimbrone Gardens. Step out of the city life by going to Fornillo and Lido di Ravello. Explore the numerous day-trip ideas around Ravello: Positano (Bagni d'Arienzo & Art & Craft Gallery). And it doesn't end there: enjoy the sand and surf at Spiaggia di castiglione, admire the striking features of Villa Rufolo, pause for some serene contemplation at Cappella Sant'Angelo all'Ospedale, and get some fabulous bargains at Ceramiche D'Arte Pascal. To find maps, reviews, traveler tips, and other tourist information, go to the Ravello holiday maker website . Sydney, Australia to Ravello is an approximately 28-hour combination of flight, train, and bus. Due to the time zone difference, you'll gain 9 hours traveling from Sydney to Ravello. 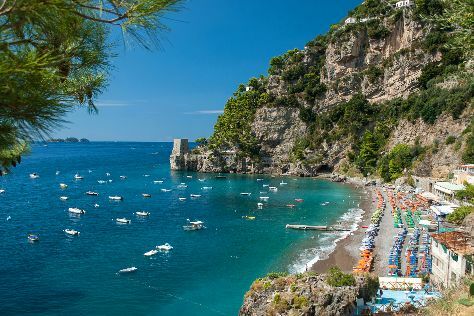 Traveling from Sydney in September, things will get a bit warmer in Ravello: highs are around 30°C and lows about 24°C. Finish up your sightseeing early on the 12th (Thu) so you can travel to Rome. Appreciate the collections at Vatican Museums and Musei Capitolini. Satisfy your inner culture vulture at Palatine Hill and Colosseum. Step out of Rome with an excursion to Villa Adriana in Tivoli--about 36 minutes away. There's much more to do: contemplate the long history of St. Peter's Basilica, make a trip to Roman Forum, get to know the fascinating history of Piazza Navona, and admire the landmark architecture of Pantheon. To see other places to visit, more things to do, where to stay, and more tourist information, refer to the Rome trip itinerary builder app . Getting from Ravello to Rome by combination of subway and train takes about 3 hours. Other options: drive; or do a combination of bus and train. Traveling from Ravello in September, plan for slightly colder nights in Rome, with lows around 18°C. Wrap up your sightseeing on the 16th (Mon) early enough to take a train to Florence. Start off your visit on the 17th (Tue): take in the views from Ponte Vecchio, admire the masterpieces at Uffizi Galleries, then see the interesting displays at Pitti Palace, and finally take in the spiritual surroundings of The Baptistery of St. John. Get ready for a full day of sightseeing on the next day: see the interesting displays at Academy Of Florence Art Gallery, get engrossed in the history at Basilica di Santa Croce, get to know the fascinating history of Monumento a Dante Alighieri, then take some stellar pictures from Piazzale Michelangelo, then get to know the fascinating history of Piazza del Duomo, and finally contemplate in the serene atmosphere at Cathedral of Santa Maria del Fiore. To find maps, where to stay, ratings, and more tourist information, you can read our Florence trip planner . Take a train from Rome to Florence in 2 hours. Alternatively, you can drive; or fly. In September in Florence, expect temperatures between 30°C during the day and 17°C at night. Finish up your sightseeing early on the 18th (Wed) so you can travel to Paris. For shopping fun, head to Champs-Elysees or Le Marais. Satisfy your inner culture vulture at Palace of Versailles and Cathédrale Notre-Dame de Paris. Next up on the itinerary: explore the world behind art at Musee d'Orsay, admire the landmark architecture of Louvre Museum, appreciate the history behind Arc de Triomphe, and pause for some serene contemplation at Basilique du Sacre-Coeur de Montmartre. For where to stay, more things to do, ratings, and tourist information, you can read our Paris trip planner . You can fly from Florence to Paris in 5 hours. Alternatively, you can do a combination of train and flight; or drive. Traveling from Florence in September, expect Paris to be slightly colder, temps between 24°C and 13°C. Finish your sightseeing early on the 22nd (Sun) so you can travel to Venice. 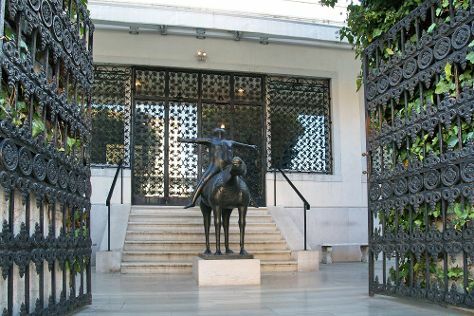 Your inner history buff will appreciate Peggy Guggenheim Collection and St. Mark's Square. Get some cultural insight at Basilica di San Marco and St Mark's Campanile. There's much more to do: explore the galleries of Doge's Palace, examine the collection at Museo Ebraico di Venezia, take in the views from Ponte dei Sospiri, and explore the world behind art at Gallerie dell'Accademia. For traveler tips, where to stay, other places to visit, and more tourist information, use the Venice trip itinerary builder tool . Getting from Paris to Venice by flight takes about 5 hours. Other options: do a combination of train and flight; or drive. Traveling from Paris in September, expect Venice to be somewhat warmer, temps between 29°C and 17°C. Wrap up your sightseeing on the 25th (Wed) to allow time to travel back home.